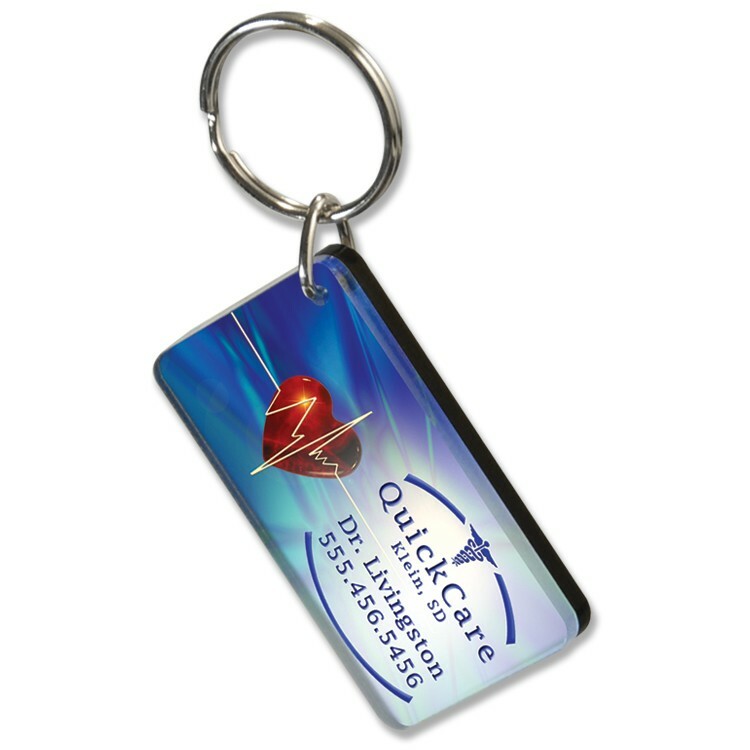 Our durable 4 square inch key tags allow customers to take your message on the go. Designed with a 1/8" sheet of clear acrylic covering a full color graphic of your logo and company information on one side, key tags can be cut into almost any shape. Sizes shown are in square inches. All of our products are proudly made in the USA and include a 1" split ring. A double-sided 4 color process graphic is also available. Contact us about free spec samples!